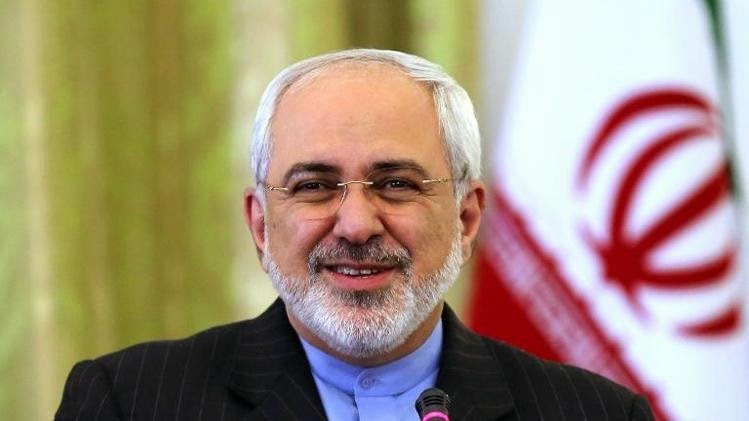 In an extensive interview with Jacob Heilbrunn, senior editor at The National Interest, Iranian Foreign Minister Mohammad Javad Zarif reiterated Iran's consistent commitment never to build or acquire nuclear weapons. In presenting Iran's categorical rejection of such arms, Zarif explained that Iran had "every reason not to have a nuclear bomb." If you look at Iran’s security environment, in the immediate neighborhood—by the immediate neighborhood I mean the Persian Gulf—we are already, because of the size, geography, resources, human resources, military ability...we are the strongest. By far. Most stable country in the region. So we need to go out of our way to convince our neighbors that we don’t have anything against them. We are engaged in confidence-building measures with them. So, not only do we not need a bomb for our immediate neighborhood, a bomb, or even a perception that we have a bomb, will further deteriorate our position, because immediately, our neighbors will seek security assurances from outside. So what we consider to be a conventional superiority that Iran certainly has in the region, if we try for strategic superiority, we will even lose our conventional superiority. In the larger security environment of Iran—that is, against the threat by Israel or the United States—Iran cannot imagine to engage in any type of deterrence, either directly or even through proxy, with these external threats, or extra-regional threats, through a nuclear device, because we cannot compete in that area. Again, a nuclear bomb will deteriorate our security. And at the end of the day, let me just make one point, that nuclear weapons have not created security for anybody. Just look at what happened to Israel. Before this becomes breaking news - which, in truth, it probably won't, since rational and reasoned statements by Iranian officials rarely ever make headlines - it should be noted that Zarif himself has been saying the exact same thing for a long time. Iran has no interest in nuclear weapons and is convinced that such weapons would not enhance its security. Iran does not have the means to engage in nuclear deterrence -- directly or through proxies -- against its adversaries. Furthermore, the Iranian government believes that even a perception that Iran is seeking nuclear weapons is detrimental to the country’s security and to its regional role, since attempts by Iran to gain strategic superiority in the Persian Gulf would inevitably provoke responses that would diminish Iran's conventional military advantage. Around the same time, he further told Robin Wright that Iran had no intention to build nuclear weapons or even produce weapons-grade enriched uranium. "We do not consider that to be in our interests, or within our security doctrine," he said during an interview for The New Yorker. We have no intention of producing weapons or fissile material programs. We do not consider that to be in our interests or within our security doctrine. We are against nuclear weapons based on religious doctrine, based on strategic consideration, based on ethical considerations and based on political considerations and legal considerations. So for us, nuclear weapons have no place whatsoever in our defense doctrines. While for decades Iranian officials have stressed unequivocally that nuclear weapons have no place in Iran's security doctrine, Zarif's own statements have often included remarks about perception. In March 2014, the U.S. government funded Voice of America reported that, during a press conference in Tokyo, Zarif "said even the perception that Iran was interested in a nuclear weapons program was detrimental to his nation’s security." Speaking at the Pugwash disarmament conference in Istanbul on November 1, 2013, Zarif said that Iran would "do everything in our negotiations with the P5+1 to ensure that even the perception that Iran has anything but peaceful intentions for its nuclear program will be removed, because we believe that even the perception that Iran pursues a nuclear weapons program is not only wrong, but dangerous." Shortly thereafter, he told France 24, "We believe that even the perception that Iran is seeking nuclear weapons is detrimental to our security," and explained to IPS reporter Jasmin Ramsey, "It is in our interest that even the perception that Iran is seeking nuclear weapons would be removed," adding that Iran "will do anything possible, everything reasonable, to remove those perceptions." Zarif has been speaking these facts plainly for years before his current stint as foreign minister. From a strategic point of view, Iranian leaders realize that nuclear weapons do not provide domestic stability or external security. Nuclear might did not prevent the break up of the Soviet empire, nor has it been a factor in recent conflicts in the Middle East. Iran's policy makers believe that development or possession of nuclear weapons undermine Iranian security. Even the perception that Iran is pursuing nuclear weapons negatively impacts Iran's power by decreasing its regional influence and increasing its global vulnerabilities. Iran does not need nuclear weapons to protect its regional interests in the immediate neighborhood. In fact, to augment Iranian influence in the region, it has been necessary for Iran to win the confidence of its neighbors; an effort that will inevitably suffer from such perceptions. Nearly a full decade ago, in December 2004, Zarif was interviewed by Charlie Rose. He decried the deliberate and illegal denial of nuclear technology to Iran engineered and enforced by the United States, and explained that "the perception that Iran is seeking nuclear weapons is in and of itself a threat to us. We do not want the rest of the world to perceive Iran as pursuing a nuclear weapon capability." Well, let me explain to you, nuclear weapons -- I mean, possession of nuclear weapons -- requires calculations. You need to -- every country tries to augment its power, and that is a given. But in order to augment your power, you need to reduce your vulnerabilities and increase your influence. From our strategic perspective, acquiring nuclear weapons, seeking nuclear weapons or being perceived to seek nuclear weapons will reduce our influence in our region, because we are already the largest country in the region, we have had to go out of our way in order to create confidence in our neighbors that we do not have any ambitions against them. Trying to acquire nuclear weapons will enhance or exacerbate those concerns in the neighborhood, and therefore it will reduce our influence and will sort of destroy whatever we have done in the past several years in order to build confidence. In terms of vulnerabilities, even the perception that Iran is seeking nuclear weapons will create immense international pressure. At the same time, if you are talking about nuclear deterrence, Iran is not in a position to acquire a nuclear deterrent, because in strategic nuclear calculations Iran does not have the -- cannot compete in that area with our perceived enemies. Therefore, we believe that it does not serve our strategic interests to seek nuclear weapons or to be perceived as seeking nuclear weapons. Now, nuclear weapons is one thing. Nuclear technology is another thing. We believe it is our right to acquire nuclear technology. This is a branch of technology that has widespread applications across the board, in areas ranging from agriculture to medicine. And believe me, we are being deprived of nuclear applications in areas from agriculture to medicine. None of the warmongers in Congress, Israel, think tanks or lobbying groups have ever had any adequate reply to this lucid assessment, resorting only to weak accusations of inherent Iranian duplicity to obfuscate the truth. Iranian condemnations of nuclear weapons have been consistent for decades. Unfortunately, the stubbornness and imperialism of Iran's antagonists have been similarly consistent. Part I: Are Rouhani's Statements Really a Huge Break from the Past? Part II: Are Rouhani's Statements Really a Huge Break from the Past?